We love Military grooms !! Meaghan and Andrew got married on a beautiful fall day , celebrating with friend and family . 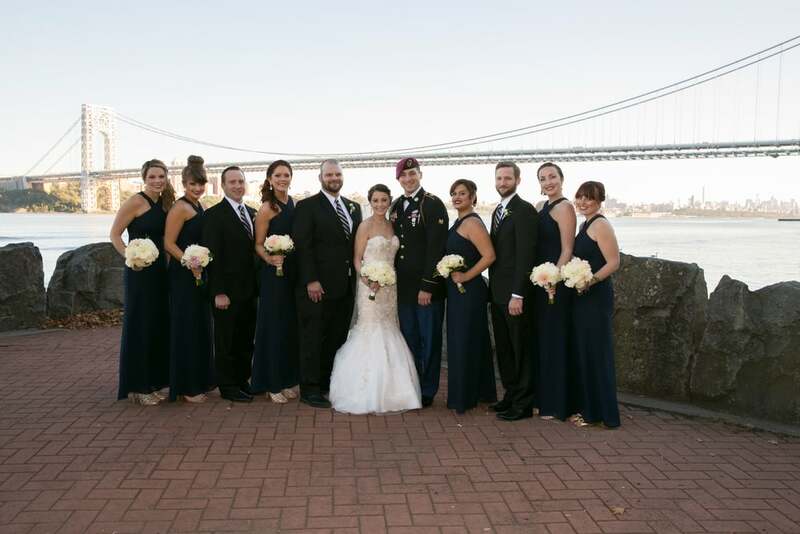 After bridal prep and ceremony the couple had chose to do photos by the George Washington Bridge Park . The back drop of the bridge and NYC was great for fantastic photos . Being that is was a mild day , we did not have to rush , which is always a plus . The bride was glowing with happiness and the bridal party was lots of fun to work with . After pictures , the party was at The Fiest , in Woodbridge , NJ ! THANK YOU ANDREW FOR YOUR SERVICE!! Posted on January 12, 2016 by Magique Studios.